But drive carefully with the buses you build! Don’t cause any damage or accidents and watch out for the speed cameras located around the city, or it could have a negative effect on your reputation, not to mention your wallet. So, what are you waiting for? Your shift has already started! 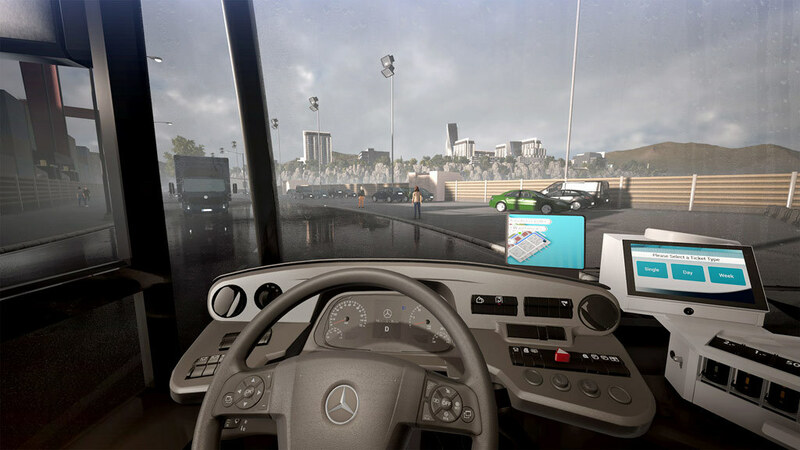 8 buses from 4 leading manufacturers are faithfully reproduced in meticulous detail, including the Mercedes-Benz Citaro K, Mercedes-Benz Citaro G, MAN Lion’s City bus, MAN Lion’s City CNG articulated bus, SETRA S 418 LE business, SETRA S 416 LE business, IVECO BUS Urbanway and the IVECO BUS Urbanway CNG articulated bus. 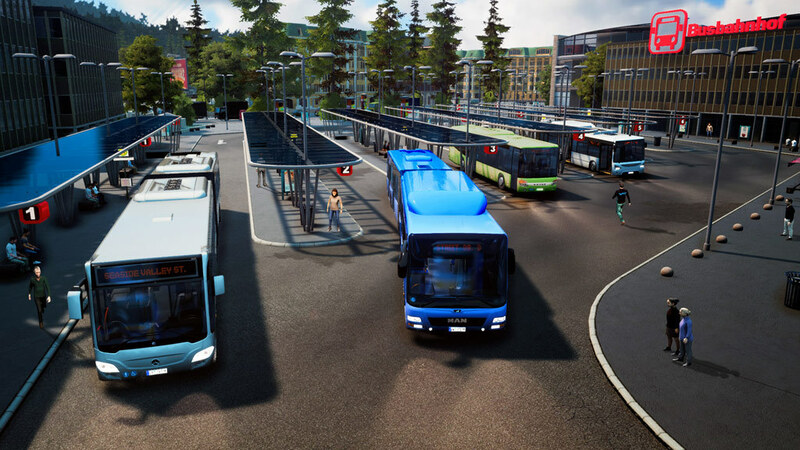 In real-time multiplayer mode you can drive around the 12 districts and over 5.8mi² of routes in the freely drivable urban area with up to 3 friends and therefore promote your bus service. 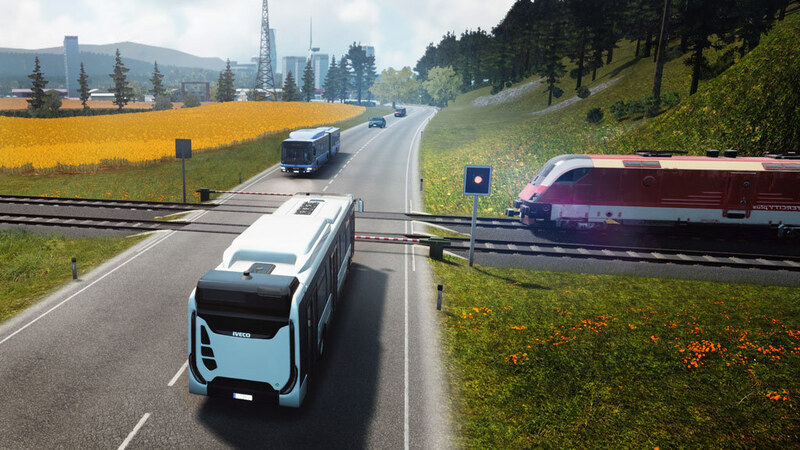 The updated progression system and the comprehensive management element, including route planning, the purchase and sale of buses, staff planning and numerous statistics will guarantee long-term game motivation. For novices and pros: you can play in a simplified or a realistic mode. 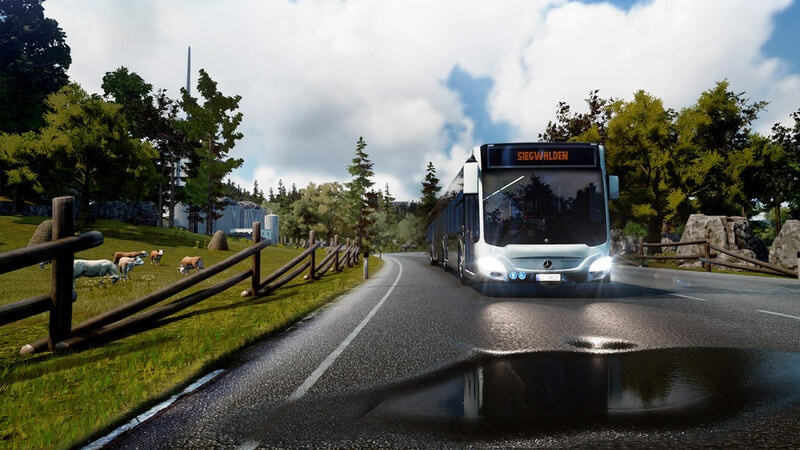 Modding: let your imagination run wild and create routes, build your own buses, design bus liveries, create new maps and share them with the community. You can also download and install the modding content available from the Steam Workshop to enhance your game experience. Support for popular steering wheels, gamepads, Tobii eye tracking and TrackIR. Authentic bus sounds, extensive tutorial and passenger voiceovers in English and German to provide even more atmosphere. Control your bus in different weather conditions, both day and night. Customisation: fully customise your buses with different colours, patterns and advertising panels. Authentically reproduced cockpits of the 4 manufacturers, equipped with numerous individual functions. Smart traffic AI and a range of challenging traffic situations await you (bus station, night driving, construction sites, diversions, long-distance journeys, potholes, traffic jams, accidents and speed bumps, etc.). For a complete gaming experience, a variety of incidents in the bus, e.g. interior soiling and debris, special passenger requests, fare dodgers, loud music and cars parked in designated bus bays. Modern technology: The Unreal® Engine 4 provides a high level of graphic detail and stunning simulation quality. © 2018 astragon Entertainment GmbH and stillalive studios. Published and distributed by astragon Entertainment GmbH. 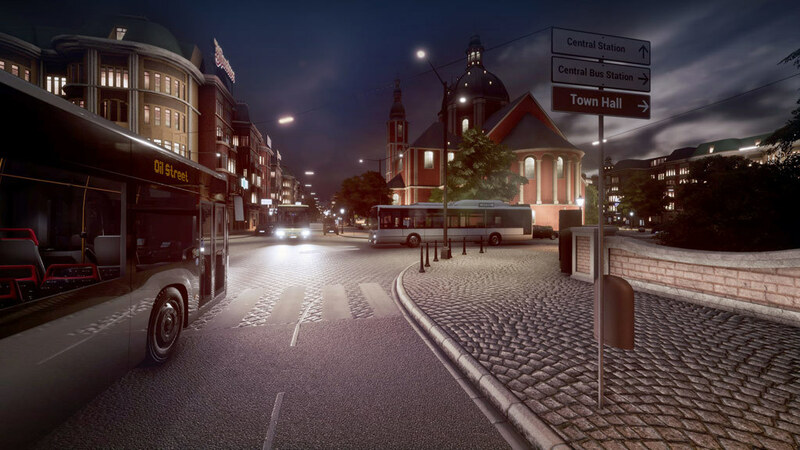 Bus Simulator 18, astragon, astragon Entertainment and its logos are trademarks or registered trademarks of astragon Entertainment GmbH. "Mercedes-Benz" and the "three-pointed star in a ring" are trademarks of Daimler AG and used under license by astragon Entertainment GmbH. Manufactured under license from MAN. MAN is a trademark of MAN Truck & Bus AG. IVECO BUS and URBANWAY are brands of CNH Industrial. Manufactured under license from CNH Industrial. "Setra" and "K im Kreis" are trademarks of EvoBus GmbH and used under license by astragon Entertainment GmbH. Unreal, Unreal Engine, the circle-U logo and the Powered by the Unreal Engine logo are trademarks or registered trademarks of Epic Games, Inc. in the United States and elsewhere. 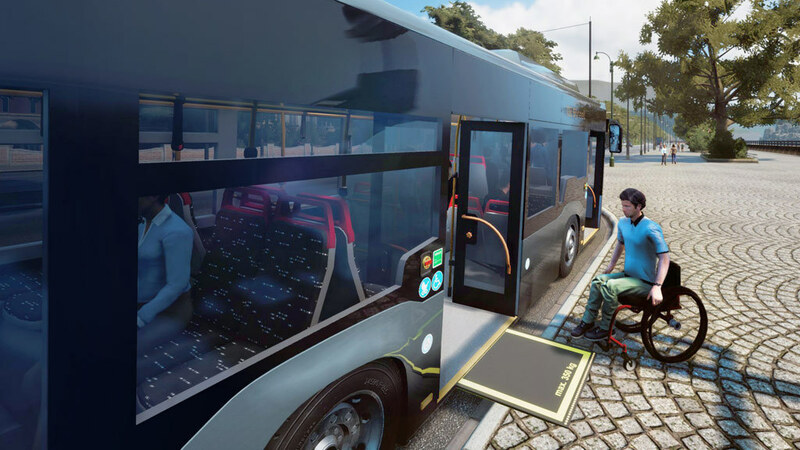 All intellectual property relating to the buses and bus equipment, associated brands and images (including trademarks and/or copyrighted materials) featured in the game are therefore the property of their respective companies. The buses in this game may vary from the actual products in shape, colour and performance. All rights reserved. All other names, trademarks and logos are property of their respective owners.